I am very grateful to the whole team that makes it possible to start this direct new form of communication with you. It is a dream come true, a desire from my heart. All dreams have something to do with the interior of the human being. It is the most direct way to reach the subconscious of a person. This is to say, that the dream isn’t something material, not from this dimension, it is in another world, in another dimension, but it is something real. You cannot deny that you had a dream, because it was something real, but it is in another dimension. Whether it is a dream you have while sleeping or a dream when you are awake; they are both dreams, and both can be materialized. We have to understand that it all depends on the form, the path that we take, to materialize that yearning that the person has. We must understand that divine and terrestrial laws exist, and everything that you want materialized, you are called to subject it to those laws. You must know these mechanisms, because if you don’t you will never be able to attain your yearnings, your life desires. The best way to dream is while awake, because you can dream positive things for your life and for your family. 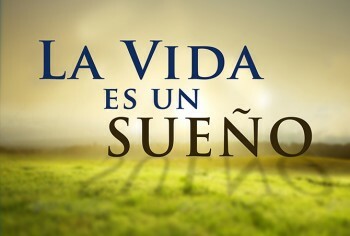 Those are the dreams that we can make a reality, because they are under our control, since we can visualize them in our minds first; for example, to imagine the life that we wish to have, whether in health field, in love, in the professional aspect, or in the economic prosperity that we want for us and for our families. For psychoanalysts, dreams are the conducting vessels so that emotions and memories locked in the subconscious can pass to the conscious. So, when we remember dreams, we can analyze memories or emotions that had been forgotten or denied by our conscious. It is also possible to change our negative or bad dreams for happy ones. Through mental visualization, which we achieve when we are dreamlike (when we are still seeing images, but are conscious that we are still awake), it is the time to visualize all the things that we desire to materialize, in such a way that we can direct our mind to solve a problem; often, when we wake up our problems are solved. Therefore, we have the ability to influence the contents of our nightly dreams, providing them specific suggestions, moments before we fall asleep. The capacity to direct our dreams can have beneficial outcomes; among the biggest benefits is the capacity to recall the dreams when we wake up in the morning. As we can see, mental visualization shows us how we can direct our mind so that it can work for us while we sleep. Our mind has great power, and when we understand this, we will always be thinking positive thoughts, because we can give life to those thoughts, to those dreams, we can do all the things in our favor. Furthermore, your life dreams are not going to materialize if you spend your time thinking negative thoughts or if you don’t take action. Remember that there is a plan to follow, a job to perform; because if we remain with our arms crossed, those dreams will never become a reality. You must also always do a very important thing. And it is: to pray to God so that he can help you reach the realization of that project or goal that you have set. The question for all the dreamers is: What is your goal? The goal of a dreamer is the realization of their yearned-for dream. We find that for this we must work, we must act, persevere, we must take a path that will take us to the realization of the yearned-for dream; nothing must deviate you from that path. It is necessary to examine if our goal is beneficial to us, to our family, to our community; because if it is, you can count with the support of the people that surround you. Some people don’t understand that for a dream to become a reality we must pass difficult stages in our life, because it is these situations that form the character of a person. It is through that track that the person will experience countless stages that will prepare them, mature them, and make them suitable to reach the peak of their goals. Many times in those stages individuals rise to trump the achievement that you have, they put problems or discourage you, but these individuals do it without realizing that the dream has to choose a path that is usually hard, for the realization of their goals. When the dreamer uses the testing stages and life problems as a ladder to ascend where they have seen themselves in their dreams, that person will use everything, even if it seems negative, to fortify their character and have more enthusiasm. A person that is a winner, that achieves all their projects, their dreams and goals, is the one that takes the path, no matter how hard, to materialize their dream; and they will not be lamenting or protesting, nor will they be discouraged in the goal that they have. He or she will know that those battles will be the rungs that will take them to victory, to the materialization of their dreams. In our next encounter we will see which is the attitude that a dream must have to realize their goals in life. This entry was posted in Artículos, Mensaje de la semana and tagged community, comunidad, dream, familia, family, laws, leyes, life, poder, power, sueño, vida, William Soto Santiago. Bookmark the permalink. Su disertación es muy acertada y edificante. Muchas gracias! Es un artículo que me ha ayudado mucho en lo personal, y lo estaré compartiendo con otras personas para que les sea de beneficio también. Muchas gracias, Dr. William Soto Santiago. Impresionante es el poder que tiene la mente del ser humano, es por eso que es tan importante encaminarla a pensamientos positivos, para que puedan hacerse una realidad en nuestra vida. Creo que todas las metas que nos propongamos son posibles, pues tenemos la capacidad para realizarlas, solo tenemos que creer que podemos hacerlo y buscar las acciones para llegar a ellas. Excelente artículo, en especial el punto que todo sueño tiene una lucha para llegar a hacerlo realidad, y esas situaciones que pasamos nos forman el carácter para así poder afrontar todas las cosas que vienen.